Located on higher floors for expansive views of Auckland’s harbour or city. Elegant room with 1 King or 2 Single Beds, ensuite bathroom with rain shower and Amiki manuka honey amenities. 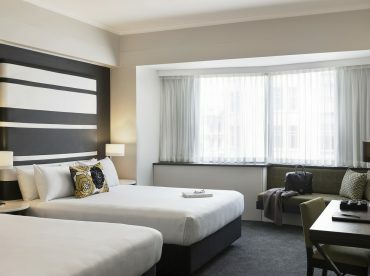 Enjoy robes, slippers, 42″smart TV and Bluetooth connectivity.